I processed a few more shots from the Longwood trip last night. Tonight I am tutoring a private lesson so I knew I wouldn't get to it tonight....When looking at these shots the question or idea of subject placement in the frame came to mind. I try most of the time to follow the compositional guideline of the rule of thirds placing my subject in a power position when it comes to considering where to put my subject in the frame. Sometimes, due to distracting items in close proximity to my subject, or the subject itself, I might choose to capture the subject in a different manner. The Elegant Lily was a perfect subject for using the rule of thirds idea, placing the bulbous part of the stamens in the lower right portion of the frame, with the nice background of the large green water lily leaves. 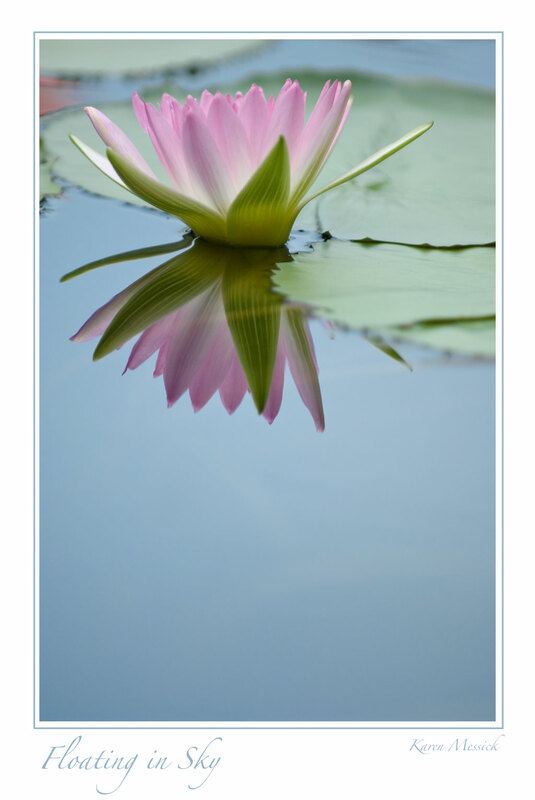 Here in Floating in Sky I chose to let the lily literally float in the upper left position and allow the blue sky reflected in the water create a large negative space in the frame, giving room for the reflection to mirror the flower. 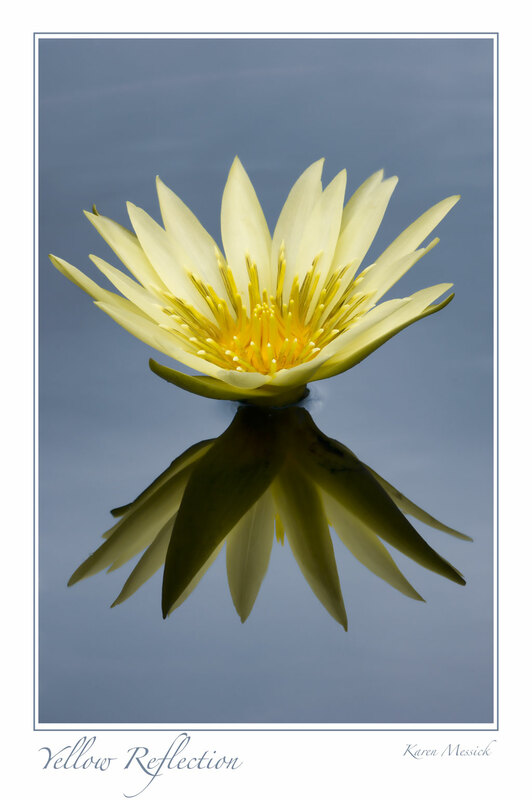 Yellow Reflection, I positioned dead center which when capturing reflections is perfectly acceptable...here the dominant lily fills the center of the frame nicely reflecting in the blue water. 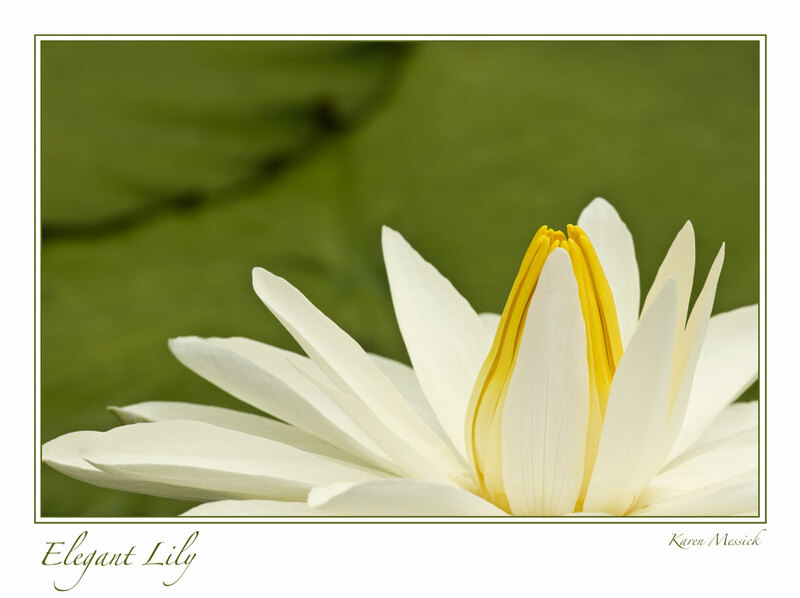 Lily Stamens follows the rule of thirds by placing the center of interest the stamens off center and toward the upper right side of the image. 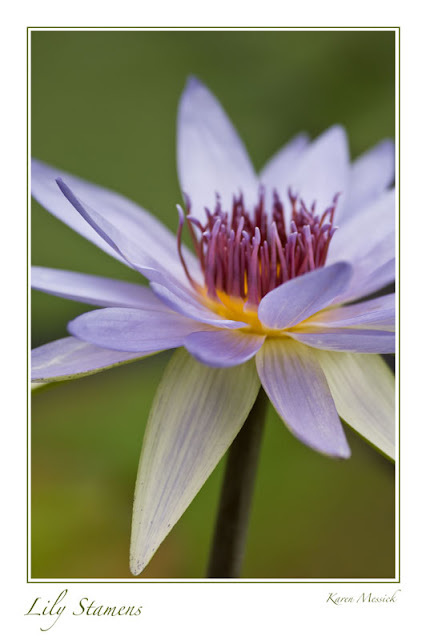 I also intentionally chose the exact spot to shoot this from, with the lower left petal pointing toward the corner of the frame creating some additional interest and tension in the diagonal line. Oh and it's OK to cut the petals off at the edge of the frame...at least I think so...if it works! All these were shot using a 300mm 2.8 lens on a 1.5 crop sensor camera, so effectively at 450mm. Those lilies are a long way off in the ponds. Thanks for all the reminders Karen. Great images. I have to go back and try these again before the heat gets them totally. Thanks Nancy, they will bloom until the first frost, you have lots of time to get them..